As if a cancer diagnosis isn’t bad enough, women with one of the most common forms of ovarian cancer face a hard reality. By the time they get the news, the cancer has likely already spread, and the drugs doctors use to fight back will likely stop working within just a few years. “High-grade serous ovarian cancer is a devastating disease,” said Erinn Rankin , an assistant professor of obstetrics and gynecology and of radiation oncology. 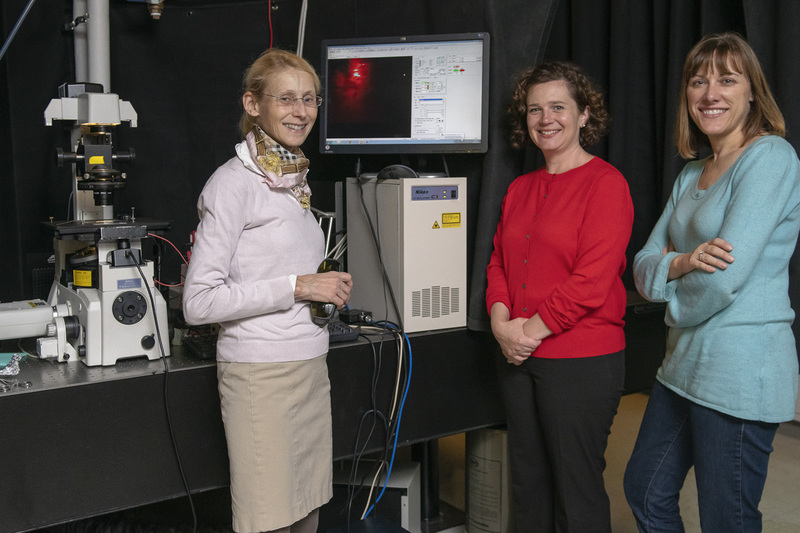 But now, Rankin, Sarah Heilshorn , an associate professor of materials science and engineering, and Oliver Dorigo , an associate professor of obstetrics and gynecology, are teaming up to take a fresh look at the problem. With the help of a seed grant from Stanford Bio-X , they’ll use new imaging techniques, mouse studies and studies of women with ovarian cancer to better understand how tumors interact with their environments, in the hope that the work could, one day, help doctors thwart one of their deadliest foes. But there’s another, more befuddling problem. At first, women with high-grade serous ovarian cancer often respond well to surgery and chemotherapy, but about 80 percent of the time, follow-up chemotherapy stops working and the cancer returns – and no one understands why. That’s where Heilshorn first came in. Her expertise is in developing biogels, materials that mimic biological tissues that can be tuned to study how certain properties – a tissue’s stiffness, for example – affect cell growth. 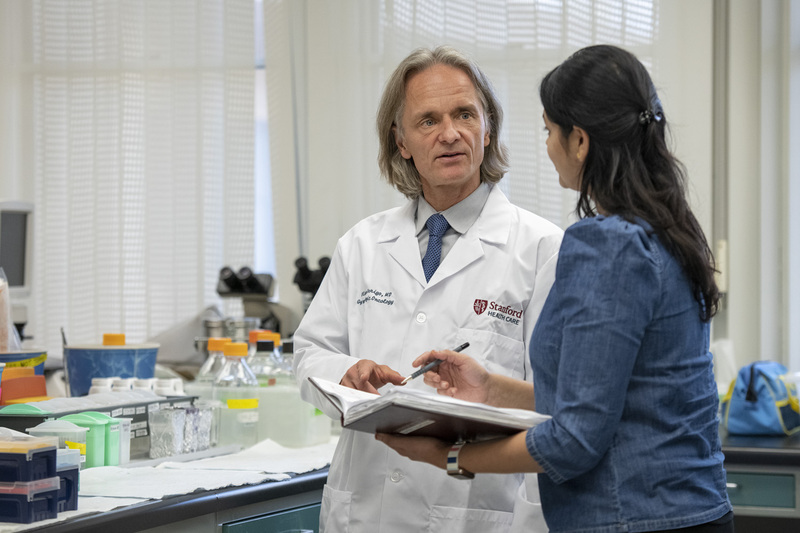 Rankin and Heilshorn figured they could apply that work to study how such properties might affect the way that ovarian cancer spreads. That initial idea sparked another. Heilshorn had been working with Annika Enejder , now an adjunct professor of materials science and engineering in Heilshorn’s lab. Enejder trained as an atomic physicist and has been working for years to develop biomedical applications of a specialized microscope ordinarily used by chemists to study molecular structures and vibrations. As it happens, that technique requires much less energy than other methods to produce a detailed picture of molecular structures – meaning it could be used to study living cells without damaging them or otherwise interfering in their function. Rankin is a member of Stanford Bio-X , the Maternal and Child Health Research Institute and the Stanford Cancer Institute . Heilshorn is a member of Bio-X, the Cardiovascular Institute , the Child Health Research Institute, the Precourt Institute for Energy , Stanford ChEM-H , and the Wu Tsai Neurosciences Institute . Dorigo is a member of Bio-X and the Stanford Cancer Institute.